A wide format printer also known as (large format printers) is a process that accommodates print material with a dimension of 24 inches or wider. Large format printers use INK jet, Laser/LED, Thermal Transfer, copy press, and electrostatic. This type of Print is often used for advertising purposes, both indoor and outdoor. Large format printing is one whose work surface is much superior to the DIN formats normally used in stationery. It is usually used to print posters, billboards and signage in general. This type of printing has improved a lot over the years: it allows printing in great quality instantaneously, allowing for last-minute changes. Its progress has also led to cost savings, which makes it more frequently used than it was a few years ago. That is why we leave you with a series of recommendations to achieve the best results with large format printing. The color is essential: this type of prints is usually made through inkjet printers, known as inkjet, so you will get better results if you work with CMYK colors. This model allows representing a wider range of colors than RGB. Proper size: the goal of large format printing is to see what is printed at a great distance. For this reason, it is necessary to take into account a series of circumstances, such as the support where the printing will be placed, the height of the same, etc. Once these factors have been defined, it is essential to define the size of the typographical sources to obtain the best results. The resolution of the images, like the size is very important because it depends on the quality of the images. Large-format printers have a maximum resolution of 400 pixels per inch, although the resolution recommended for large-format projects is 300 pixels per inch. Choose the appropriate format for the project you want to make. The most used are EPS (for vector designs), JPG, PDF and TIFF. Everything that is printed so that it can be seen from far away is considered a large format. This type of printing is used for banners or posters, among others. Imagine a canvas with 6 meters long and 3 meters high. With the graphic design program (Illustrator, for example) you will not be able to edit a document with those measurements, you will have to design one to scale, based on the canvas printer. If it requires a scale of 1:10, the length will be reduced to 60 cm and the height to 30 cm (we divide the total of centimeters 10). The document you will really work with will be 60 cm x 30 cm. If the scale was 1: 5, the measurements would be 120 cm x 60 cm. It uses a simple typography; the sans serifs are the ideal ones to be seen at a great distance. It has been proven that lowercase letters are read better than capital letters because we really identify the silhouette of the words, not the letters separately. In order to not pixel the image appreciably when you expand it again, remember that it should be at 300 IPRs scale. Work in vector format so that the final document does not weigh too much and we get the maximum resolution. Save the file in PDF that preserves the texts and colors (that’s why it has become the most popular printing format). If we save it in Tiff or Jpeg format, it would decrease the quality of the images and the text. If the document was not very large, these formats are the best alternative. Once the document is designed, it must be printed. Use an inkjet printer and the colors Cyan, Magenta, Yellow and Key (CMYK). You can choose from a wide variety of materials for the large format: Frontlight or PVC, Backlight, Canvas Mesh or microperforated, Vinyl…. Each of these materials has a series of particular characteristics. 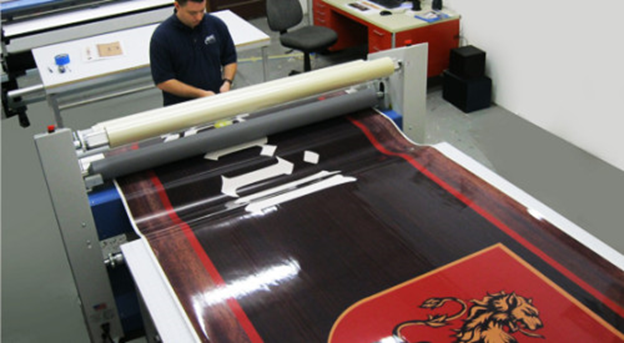 Large format printing is used by different brands around the world. The examples abound, since it is possible to observe the large-format printing on billboards and decorations of shopping centers, one of the most common are those that are made in clothing stores during sale seasons and cinemas. Apart from the different styles of products, there are also materials that vary in the field of large format printing. Makes prints opaque, with solid backgrounds and prevents the penetration of light. This material allows the reflection of light; however, it also offers a solid impression. It is covered by small holes and makes the passage of light possible. It is limited to show a bottomless image. The second most used material for large format printing is the canvas, and although there are also bright and matte options, they are added to the mesh type, which is perforated, a feature that gives greater resistance to the wind. One of the advantages of vinyl and canvas is that they are materials that do not get wet. 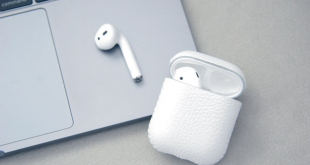 In this way they are easier to clean and durable. They can also be placed on any wall, regardless of the material that is, but the only condition is that they are smooth surfaces. On the other hand, the X-Banner and the roll-up stand out for being structured to print in large format that are produced on canvas or fabric. The point that differentiates them is the way in which they are presented; besides the structures vary according to their sizes. It is important to note that these materials are quite useful for outdoor spaces such as a physical store. Plotter on the other hand is a printing device connected to a computer, and designed specifically for graphic printing with great precision that a printer could not obtain. At first, these machines were used only to print blueprints, but since the arrival of color, their profits grew in large numbers. Some may print fabrics, etc. Plotters are used in various fields, such as scientific environments, engineering, design, architecture, etc. Cutting plotters and printing plotters are distinguished. For both printing and cutting, drawings or designs are extracted from the computer and then the image must be exported to the plotter’s software. Printing machines can print in colors, just like an inkjet printer. It is widely used for posters and billboards, which are reproduced in parts. Printing can be done on paper and ordinary ink, or with special inks with outdoor protection. They have a blade half the size of a sewing needle. It is used for posters, vehicle decoration, stained glass, etc. The material used for this type of work is vinyl for plotters. There are machines that can do both the cutting and the printing jobs (print with the ink jet system and then cut using a knife). At present, the injection plotters are the most used, since they make non-linear drawings with greater precision and are faster and quieter. The older plotters, on the other hand, were limited to making line drawings. The plotter has different sizes, according to its characteristics. There are plotters that barely exceed 90 centimeters wide, while others approach 160 centimeters and allow professional and intensive use. Nowadays, injection machines are frequently used, which is easier to make non-linear and polychrome drawings of various colors, they are silent, faster and more precise. The dimensions of the plotters are not uniform. For professional graphics, plotters up to 157 cm wide are used, while for others not so complex, they are from 91 to 121 cm. Now that, you already knows everything about the Plotter and Wide Format Printing, how about checking out more plotter models? Then you search, compare prices and make the best choice! Software development is not the job for everyone as it calls for passion and sacrifice. As a developer, equipping your workstation with new gadgets and accessories will help you work better and make your working space unique at the same time.